LA JOLLA, CA – October 20, 2016 – The Scripps Research Institute (TSRI) and the California Institute for Biomedical Research (Calibr) – two leading non-profit research organizations – today announced the signing of a strategic affiliation that combines the two organizations into a new biomedical research entity with the tools and know-how to rapidly translate its scientific discoveries into life-saving medicines for the public benefit. This integration of basic scientific and translational research will reduce the costs and timelines associated with the crucial early stages of drug development, and lead to the creation of a self-sustaining model for non-profit research in which drug development successes drive the funding of new scientific discoveries and medicines many years into the future. The union of these two non-profit organizations – both led by Peter Schultz, Ph.D. – provides the ability to rapidly move the basic scientific research carried out at TSRI into Calibr, whose expertise and infrastructure can accelerate drug development from discovery through early clinical trials, complementing the pharmaceutical industry's increasing focus on the later stages of clinical development. "The affiliation between TSRI and Calibr is the first of its kind. Unlike other research institutes and universities that have sought to establish translational capabilities within academic centers, we aren't building from scratch – rather, we are integrating the strengths of two proven non-profit organizations, enabling TSRI to remain committed to basic biological and chemical discovery and the understanding of disease processes, while turning these insights into innovative new medicines for unmet needs ranging from cancer and degenerative disease to childhood and neglected diseases through the affiliation with Calibr," said Schultz, President of both organizations. "Ultimately, I believe this 'bench-to-bedside' model has the potential to become self-sustaining, with the value we create being reinvested back into research, education and additional clinical studies." As part of the formal affiliation, the two organizations will now share a combined Board of Directors, as well as scientific and administrative resources that will be consolidated over time. Schultz, who has an outstanding track record in both basic research and drug discovery, is overseeing the integration of the two institutes' distinct cultures and operations. Both institutes will continue to collaborate with their other partners in the academic and commercial sectors. "I want my work to have an impact on the lives of people suffering from life-threatening diseases, and the TSRI integration with Calibr provides an important mechanism for moving molecules faster and further along the research to development continuum, while also creating additional value for TSRI and Calibr," said Jeff Kelly, Ph.D., Lita Annenberg Hazen Professor of Chemistry, Chairman, Department of Molecular Medicine at TSRI. TSRI has a strong history of success in basic science – the research that lays the groundwork for new medical advances. The Institute is internationally recognized for its scientific impact in the fields of chemistry, structural and molecular biology, immunology and neuroscience, and for its many scientific breakthroughs that have led to therapies that address infant respiratory distress, rheumatoid arthritis, lupus, hemophilia and blood cancers. Each of the ten regulatory agency-approved medicines emerging from TSRI took an average of more than 20 years to move from drug discovery to market availability. The new affiliation between TSRI and Calibr aspires to accelerate that timeline, as well as to increase the number of basic science discoveries that are translated into first-in-class drugs. Founded in 2012, Calibr has leveraged its strengths in small molecule discovery, protein engineering, and translational research through collaborations with academic, foundation and industry partners. To date, Calibr has generated a pipeline of candidate medicines for a number of disease areas – including new approaches to osteoarthritis, tuberculosis, childhood diarrhea, heart disease, fibrosis, multiple sclerosis and cancer – creating opportunities to move five to 10 new molecules into the clinic within the next two years. "The partnership with TSRI is critical to our long-term vision for Calibr," said Matt Tremblay, Ph.D., Calibr's Chief Operating Officer. "We're thrilled to work alongside TSRI's world-class faculty and bring Calibr's capabilities and focus to bear in creating a self-renewing source of new drug discovery opportunities well into the future." The two organizations have already successfully collaborated on several research programs in recent years, including the development of an antibody engineering platform that could improve treatments for chronic diseases such as diabetes and COPD, and innovative immune therapies for the treatment of cancer. These collaborations have led to several candidate therapies, two of which Calibr has partnered with major pharmaceutical companies. Moreover, these collaborations are providing a unique training environment for students and fellows at the interface of basic and translational research, resulting in high-impact publications, and preparing them to tackle some of the most important biomedical challenges in academia and industry. 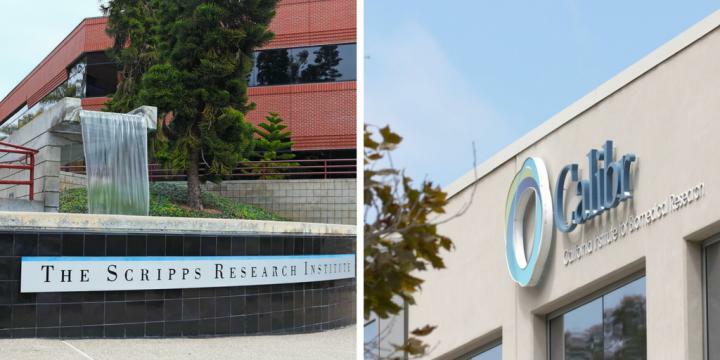 The Scripps Research Institute (TSRI) is one of the world's largest independent, not-for-profit organizations focusing on research in the biomedical sciences. TSRI is internationally recognized for its contributions to science and health, including its role in laying the foundation for new treatments for cancer, rheumatoid arthritis, hemophilia, and other diseases. An institution that evolved from the Scripps Metabolic Clinic founded by philanthropist Ellen Browning Scripps in 1924, the institute now employs more than 2,500 people on its campuses in La Jolla, CA, and Jupiter, FL, where its renowned scientists–including two Nobel laureates and 20 members of the National Academy of Science, Engineering or Medicine–work toward their next discoveries. The institute's graduate program, which awards PhD degrees in biology and chemistry, ranks among the top ten of its kind in the nation. For more information, see http://www.scripps.edu. The California Institute for Biomedical Research (Calibr) is an independent not-for-profit institute established in 2012 with the goal of accelerating the translation of basic research to new medicines that address unmet medical needs. Collaborations with researchers across the world expedite the translation of basic biomedical findings to new therapies, while enabling commercial partnerships are formed to bring these new medicines to the public. Value created from these activities is reinvested in preclinical and clinical research at the institute to further its mission. For more information, see http://www.calibr.org.